The Denver electronic band will play Wednesday at The Blue Note with The Ready Set. From shattering exit signs to launching champagne glasses off of hotel balconies, the guys in Breathe Carolina personify their lyrics completely. With three albums released and a new single, “Blackout,” that’s taking the pop charts by storm, Kyle Even and David Schmitt of Breathe Carolina are on tour rocking crowds with neon lights and smoke-filled stages. The band’s sound is one that encourages getting up and dancing and losing yourself. “Blackout” does this to crowds all across the nation. The name for the band came from a very unconventional source: a dream. The music combines party melodies with abrupt screaming. The screaming talent on their tracks comes from Even, and success with something so straining doesn’t come quickly. Touring is constant and spending so much time with the same group of people can be stressful on relationships, but not for this band. 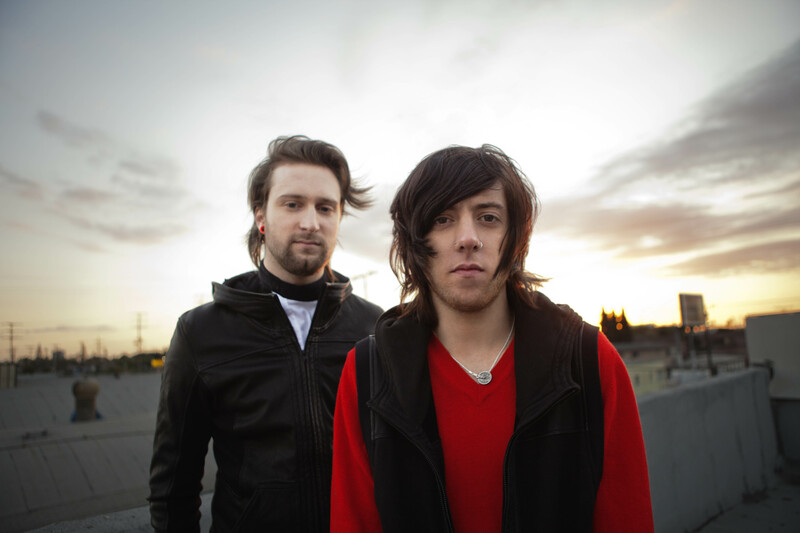 Breathe Carolina’s songs are heavily centered on parties and living life in the most crazy ways. Lyrical inspiration isn’t always autobiographical for artists – but for this group, it most certainly is. Even and Schmitt take their songs to a whole new level of real-life destruction. Even recalls a time in which they were kicked out of a hotel room. Not only do they break lamps, but they destroy signs, too. These guys are a dream come true for the classic rebel. “Only be destructive if you’re not gonna get caught,” Even says with a chuckle.